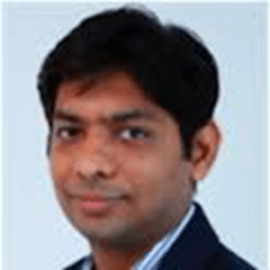 Vipul is a Principal/Vice President of Consulting Practice at Intellecap. He has 13 years of experience spanning across business strategy, business planning, operations strategy and setting up business operations for various clients. Vipul has worked extensively in the clean energy/ off-grid space and has a proven track record in Strategy, Transformation and Operation management. He has worked with various SMEs and large corporations on market assessment studies, go-to-market strategies, and business planning and feasibility engagements. His engagement have spanned across sectors such as agriculture, clean energy and financial inclusion. He has also led projects assessing the financing gap to the SME sector in Indonesia and identifying key policy changes that can facilitate better access to finance across the MSME segment. He has worked across designing frameworks for the potential investment opportunities for various social impact funds and lending institutions. At Intellecap, he has worked with SMEs, corporations and impact investors on market assessment studies, entry strategies, business plans and partner identification engagements. He has also worked across designing frameworks for the potential investment opportunities for various investors and lending institutions. In addition to execution of projects, his role also includes business development for DFIs and corporates.